So have been off Mastodon for much of the day. Did it survive @sarahjeong writing about it? So when do we find out Mastodon was really just a big April Fool&apos;s joke? This doesn’t feel like the indie web’s last chance, but it’s easily the best chance in a while. We let Facebook eat our relationships, we let Twitter create a new but terrible medium, and then we let Medium eat blogging. 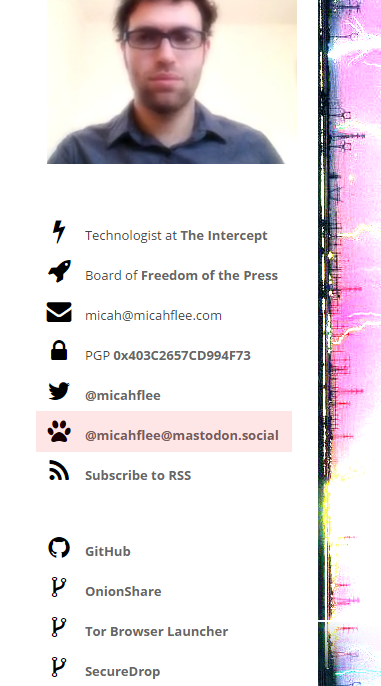 I don’t know that Mastodon will be the first new platform in a while that nobody owns, but god, I hope so. Having our lives depend on 7 different domain names is just lying back and inviting net neutrality to get eaten. Apparently Mastodon the band is going to be on Jimmy Kimmel tonight. EVERYTHING'S COMING UP MASTODON. What happens if you have accounts on two separate instances of Mastodon, but they&apos;re federated with each other? Do they conflict, or it just treats them as different accounts? "Go start your own instance" seems like a pretty useful way to respond to complaints (even if someone already said that to me earlier -- and they were right). So who&apos;s going to find James Comey&apos;s Mastodon account?